“Fabulous views from luxury homes on the McCullough Mountains are part of the reason for brisk sales,” said Rich MacDonald, president of MacDonald Companies. “DragonRidge golf course is the other reason. Prospective buyers are finding that each hole of DragonRidge is a surprise. The course is enjoyable and exciting to play, no matter the skill level,” he continued. Custom homes sites at McCullough Mountain luxury real estate are as diversified as the natural landscape itself. Prospective buyers are choosing flat lots, multi-leveling pads, and hillside acreage to build their new luxury real estates. These home sites provide views of the golf course, mountain range and the Las Vegas Strip. 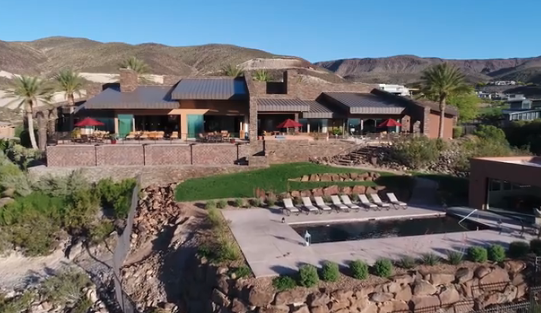 Among the luxury home communities in Southern Nevada, MacDonald Highlands offers the some of the best locations for unobstructed views of the valley. MacDonald Highlands guard-gated development includes three neighborhood parks that encompass approximately 10 acres and feature tennis, basketball and volleyball courts, play areas and picnic facilities. Five-mile walking trails that meander throughout the 2-square mile community also provide access to nature trails that lead deep into the surrounding McCullough Mountains.